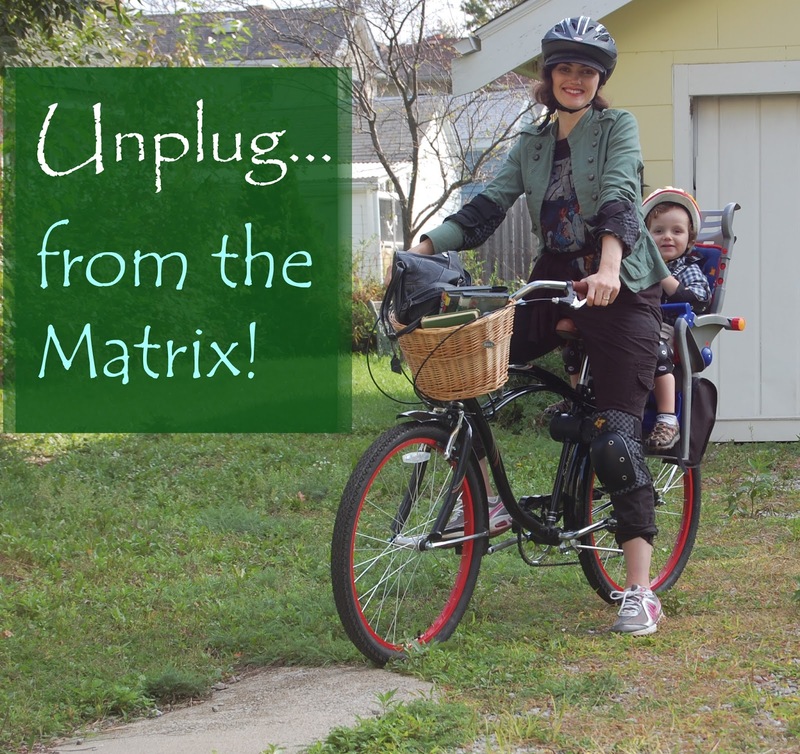 Unplug and Take a Digital Detox! A PodCast by Invisible Office Hours illustrates that we have reached the pinnacle of matrix-like immersion in their episode, “Social Media Part 1“. While at a Starbucks coffee shop during a social media fast, the co-host Jason Zook observed a person continually staring down into their smartphone even as they ordered. The show host did an experiment to see if paying for this persons drink would make them lift their locked eyes if only for one moment. The result: A glazed over stare into the black hole of the internet as they casually said “thanks”. He observed that we are afraid of being alone, even for a moment. This is more than becoming a cyborg, this is living for a continual state of “dopamine” like levels of stimulation as we are entertained in the online world. Social media has it’s place for connecting family, friends and sharing news stories. Technology can be an excellent tool if used judicially. However, living primarily in the online world is artificial and will take a toll on our health, mind and relationships. Break free from “connection addition”. Create a regular habit where you unplug from podcasts, texting, social media, gaming, television, movies, radio, computers and all mobile devices. Imagine you have gone away to a log cabin bed and breakfast. Recharge your batteries for either a day, a weekend or a few hours. I personally unplug from all electronics 24 hours once per week, with the exception of my digital camera. On regular days technological entertainment is used sparingly. Read classic literature. If you own a Nook or Kindle this is a great tool to have for deep reading sessions. A dedicated “e ink” reader is stratospherically better than using a tablet or even an iPad Retina as there are no online distractions.The display has crystal clear paper-like text. However, during your unplugged time aim to have physical books and quality magazines with fine journalism on hand, which you can checkout at the library. Have a deep conversation with a person in your family. Clean your home like a monk, enjoying the serenity of peaceful natural sounds as you bless your home space. Write a letter by hand. Observe the penmanship during the Victorian and Classical Era’s. If you look at the Declaration of Independence, you observe excellence of craft. Could it be that penmanship reflects discipline and integrity? Make a phone call with all smart-phone notifications turned off. You may wish to consider owning only a basic cell phone. Some have gone back to having a land line to restore their freedom! Talk to your spouse about life. Develop your relationship. Save concerns for later, and gently put in writing. As we aim to boost creativity, productivity, and focus on our life purpose, we need to exercise our brain with a series of disciplines. At the peek of human intelligence, the Victorian Era, immersive reading and letters written by hand were a regular ritual. Classic literature is more likely to encourage deep thinking according to the article, “Shakespeare and Wordsworth boost the brain new research reveals”. Now in this “age of immediacy” we are at risk for “intellectual obesity”, as we train our minds to be satisfied by info snippets and lack discipline to focus on one task at a time. The Forbes magazine article: “Kids Don’t Read Books Because Parents Don’t Read Books” illustrates that parents are no longer modeling good reading habits in this age of entertainment. The good news is, we can change. One of the best activities to experience while unplugged from the internet is deep immersive reading. I recommend getting a dedicated eReader so you can continue to read without the distraction of apps or internet connection. Read for comprehension, not speed so that you can absorb what you are learning. When we slow down our reading to where we can comprehend the information, we trigger deep levels of thinking. I’ve maintained the habit of nightly reading for 15 years, it was a natural cure for insomnia as it cancels out the minds thoughts. I had no idea what a voracious reader I would become, pouring through volumes of books throughout the years. On the rare occasion that I would wake in the middle of the night, I would turn to my reading habit. A couple of years ago I challenged myself to make reading classic literature a part of my nightly reading routine. For about 20-45min each evening I would read the Bible or a Christian informational book, a nonfiction book (this I most anticipated) and a classic literature book. Initially I was resistant to reading fiction Classics as they did not hold my interest. I could not connect with the culture or expressions, and the vocabulary was challenging. Walden Pond, Little Woman and The Hobbit were the only classics I thoroughly enjoyed at the time. Then I decided to take on a challenge and create a new habit. Many classic books were from the Google Books Library Project. Thanks to this discovery, I have access to forgotten history books on inventors, composers and explorers written during the late 1800’s. I was astounded by the rich vocabulary, work ethic and respect in the various authors voice. Today’s biographies are primarily tabloid story moments. As thought they hope to bring down the greatest achievers. As a result I found myself using exponentially more vocabulary words in speech and in writing. Now when I read a modern book I am usually disappointed that I rarely have to look up a word. Is Texting Dumbing Down Language? How can culture preserve language when the ubiquity of texting has replaced letter and even email composition? We may lose thoughtful writing as a society if we continue on this trajectory of shorthand urban language used in mobile communication. Some argue this is harmless and a separate language within itself, yet how many prolific texters develop well composed paragraphs throughout the week? Without regular use, muscles atrophy, as does the skill of writing. Technological trends need not always be embraced. We should ask ourselves, “Is this progress”? There is also the trend of fewer pc and laptop sales. Let’s think about the implications of this in regards to communication? How do you think it will impact society once the masses no longer use computer keyboards? According to an article on Phys.com entitled: Researchers Suggest Victorian-Era People More Intelligent than Modern-Day Counterparts“, a study was done that proved Victorians possessed higher intelligence than today’s modern individual. The Victorians wrote thoughtful letters by hand. Today the art of handwriting is being forgotten. Auto-suggest writes for us as we type. Often Victorians played a musical instrument if they wanted music in their home. Today all one need do is pull up Spotify or Pandora and passively listen. The craft of studying music is being forgotten. The Victorians held a higher standard of excellence which was displayed in their work ethic and fashion. Pick up any book written in the late 1800’s and observe the rich vocabulary and eloquence of speech. Why do you think people who lived during the Victorian Era were more intelligent than people today? Today’s Steampunk counterculture movement is highly motivated by an appreciation for lost ideals. Fine literature, penmanship, manners, dress, hands-on craftsmanship and other lost arts of humanity, reflected a greater sense of pride in ones work. These workday productivity tips will maximize your day whether you hold a full time paid position, work at home as a homemaker (AKA stay at home mom or stay at home wife), work from a home office or do a combination of the above. Turn off all phone or mobile device notifications. Speaker / Author Seth Godin in his mini blog post “Five steps to digital hygiene” shares a nugget of wisdom, declaring that we should disable our social and mail notifications on our mobile devices.This is hugely important as we don’t want to train ourselves to continually be interrupted. Instead schedule specific times for checking email, social networks and game play. Check your email no more than 1-3 times per day. Set up a daily check in time. Many simplicity experts recommend checking once in the late morning, after completing a meaningful task and again in the late afternoon. Check into social media sites at scheduled times and use a timer. This could range from 1-2 times per day for 5-10 minutes, or once per week for 10-60 minutes. Pick a month to abstain from Facebook, Twitter, Pinterest and any other social media site you participate in as part of a Lifestyle Experiment. It is paramount not to replace this time with digital entertainment such as texting, gaming and surfing the web as part of this exercise is to learn how to “break out of the matrix”. Learn how to enjoy life organically as humans have for millennia. Is life about pleasure or meaning? Technology is a tool, overuse leads to depravity of the mind and relationships. After you’ve taken a digital detox consider ways to reduce your time texting, on social networks, surfing the web, watching tv and even listening to podcasts or music. Add them back into your life sparingly so that the focus of your waking life is organic and natural, just as our ancestors lived before the 1900s. Step out of the matrix, rip off the “Truman Show” artificial dome and breakout into life. How to Handle Post Halloween Depression!